Chicago's original TRX group fitness class! Experience TRX suspension training combined with signature Power Sculpt reshaping moves designed to tighten & define. Our spacious studio allows for non-stop intervals on the TRX making this 30-minute class fun & effective! 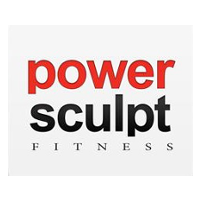 Don't be fooled by imitations - Power Sculpt TRX is what works! No experience required but if you are new, please tell you instructor before class begins. cadio with trx, challenging and upbeat but fun and worth it! The music was super loud and I was a first timer in the class and there were virtually no instructions. This was a great class but no one was there to check you in or welcome you and the music was very loud and did not get turned down between classes. Super intense 30 minutes. Arms were dead after but great workout. Music loud and sometimes hard to hear instructor but great burn. It was a great workout but the music really was wayyyyy too loud as stated in previous reviews. Great workout, very efficient use of time. Class was good but music was WAY too loud - even sitting in the waiting room it was too loud to have a conversation with someone next to you without yelling. Lower the music and it might be better. Great instructor and workout! Took the time to ask who was new and taught proper form. Very encouraging.